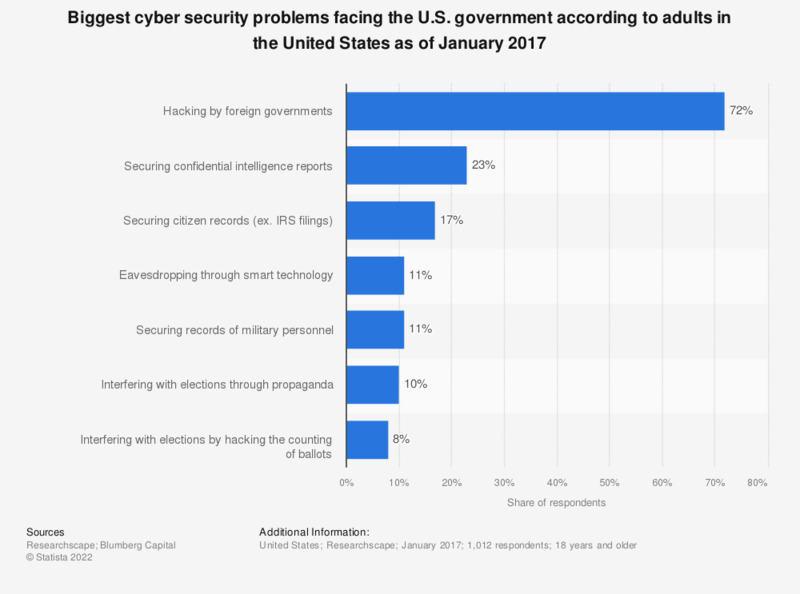 This statistic presents a ranking of the biggest cyber security problems facing the U.S. government according to adults in the United States. During the January 2017 survey period, 72 percent of respondents stated that hacking by foreign governments was the U.S. government's biggest cyber security problem. Which of the following types of fraud and/or economic crime has your company been a victim of through a cyber-attack?